Update 3/26/19 The app has been updated so you can now pay to remove ads. 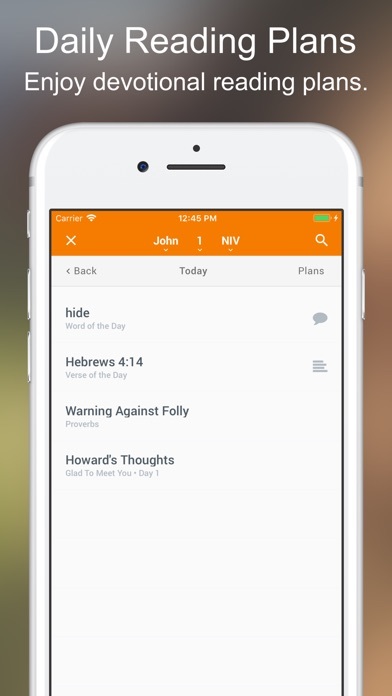 It’s very worth it and is once again the best bible app out there. ——— I have used this app for years and years. I have amassed hundreds if not thousands of notes in addition to highlights, cross references, etc. But now there are ads. Not just when you turn it on. But every time you minimize to look at sermon notes or slides, or do anything else. Also, the ads have sound. Very embarrassing if you are at church. Really have to think before you use it and if it doesn’t change back to no ads soon I’ll have to jump ship. Developers PLEASE offer an ad free experience, even if we have to pay. 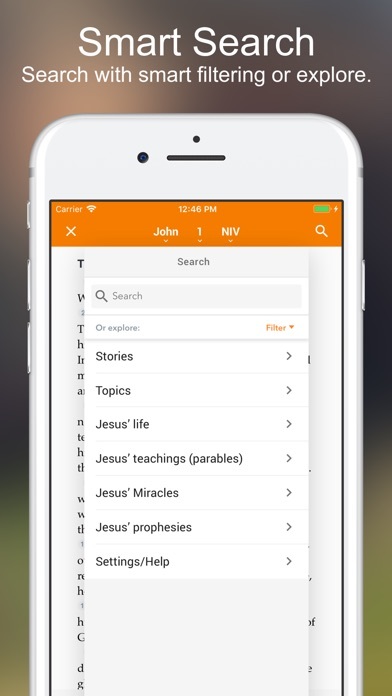 This app provides exactly what I want and need. It allows me to read scripture from a variety of Bible versions and look up certain passage I’m interested in reading. I have used this app for several years. 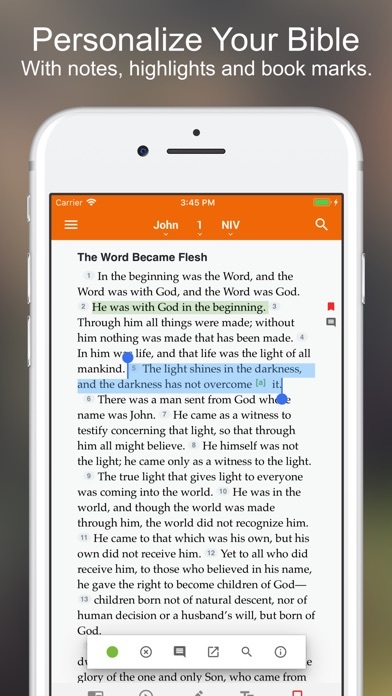 I have even purchased Bible versions and have been extremely satisfied with the ability to open the app quickly and start my study or quickly find verses to read. But this new update is awful with all the advertisements at startup. I wouldn’t be so upset if I hadn’t actually purchased a number of their Bible versions. I would even be willing to make a purchase or a subscription, anything if it meant I could get away from all these advertisements. It’s so distracting that I’m actually considering starting all over again with another app. Update: I paid the fee to stop the advertisements and now I’m able to use the app again. 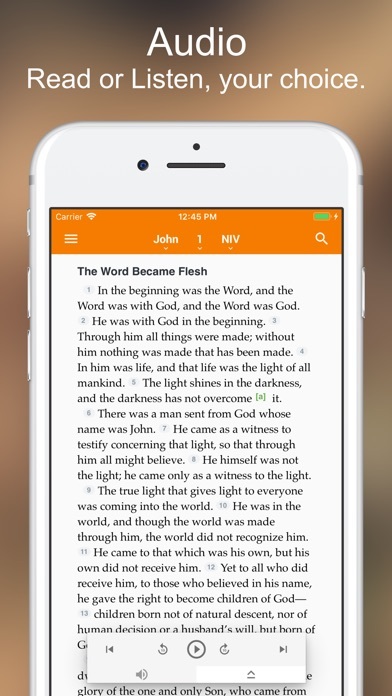 I moved from one star to three because I don’t think I should have had to pay to stop the ads when I have purchased Bibles but it was only $1.99 and the purchased Bibles weren’t that expensive so I’m okay with that. I paid for it already!!! I shouldn’t get any ads ever!!! That wasn’t the deal we made when I paid you. This is fraud in the inducement and is a crime. You owe me my money back as your product is now useless, but my expectation was that its usefulness would continue beyond this point. That you use the notion that the payment helps support ministry is your unending shame and utter hypocrisy. And the fact that you don’t know how to make an app with a more reasonable ad display policy - for new users who haven’t entered into payment as I did with no expectation of advertising - is just going to hurt a lot more people. THE ADS SHOW CONSTANTLY! IT IS NOT POSSIBLE TO USE ANYMORE!!! I’ve used this app for several years. The persistent ads popping up at log in need a better solution. Charge me a fee for paid version or make them only appear if you’ve not opened the app for 10min. As is, they plague you at the start. As developers ask yourself this: how will you know and can you live with when believers begin habitually avoiding your app due to annoying distractions? Remove the ads. I paid for this app. I don’t want to see them! I have used this app for years, now it’s useless and it’s evident that the developer doesn’t care about users since allowed to ruin a beautiful app with the Word to this miserable level. Since you wouldn’t or cannot solve this ads plague, I’m deleting the app and return to one maybe not as useful but without this kind of advertising that you allowed in this app. Sad that you are not interested in a paid version without ads! I think that many of us will support the app if you did so. After purchasing a full download I had to pay $1.99 to stop the ads. Shoddy business practice. I purchased full off-line downloads for two versions of the Bible from these folks. When I bought a new iPad, I was able to transfer the app O.K. but ads popped up not just when I started the app but every time the screen timeout cycled. I had to pay a $1.99 fee to have the ads removed. VERY POOR CHOICE APP PEOPLE!